Saying that Brandon is known for his worldbuilding is the equivalent of saying that 'Thomas Covenant is a little down putting', or 'Petyr Baelish makes plans': a painful understatement. Sanderson is one of the best there is, and his new world, Roshar, shows it. Set on a world where enormous storms devastate the landscape, where soil is unknown and even the plants have shells... Well, this is radically different from anything you've encountered before. And it's more ambitious, too - The Stormlight Archive was planned over 10 years, will occupy 10 books, and has 10... I mean to say, thirty magic systems by one count. So, what can we take from that? Just this - The Way of Kings, elephant-stopping monstrosity of a tome that it is, is just an introduction to what follows! In WoK, we get our glimpses of the viewpoint characters: Shallan, a noble of an impoverished house seeking wardship of a noted heretic - but with a covert scheme. Why not? Then there's Kaladin, surgeon-turned-bridgeman - forced into service for the Alethi army, and attempting to make survival into something more. (Not to mention that he's accompanied by a very odd spirit). Dalinar, a lighteyes and commander of an Alethi army - a commander who is seeing visions of a past age. And who is reading a tome believed borderline heresy: The Way of Kings. There's also Szeth - but really, anything I say regarding his plotline would spoil some fantastic moments. So I won't. I'm nasty like that. At any rate, Way of Kings is Kaladin's book. We get his backstory, and his is the plotline with most resolution. However, that's not to say that other characters don't get development - and my personal favourite was a side-character, the King's Wit. (You might want to look carefully at him...) As always, Roshar is part of the 'cosmere', Sanderson's interconnected universe - something that I find a particularly neat concept. You can definitely find references to what's going on in the cosmere: and even a character or two from his other novels. While you're not required to have read Sanderson's other books, Way of Kings has some fun bonuses if you have. So what about the world? In this instance, Sanderson really has topped himself - hints of secrets and returning magic meld with the completely alien ecology to create something that is completely entrancing. I could read this book just for the worldbuilding (and since this is my reread... maybe I just did). Far superior just in sheer originality to most, you'll nevertheless need to know that there are more questions than answers here. As always, this is a series you'll be in for the long run. I had my doubts regarding resolution, but in all aspects, Way of Kings does manage a satisfying conclusion for our introduction - and its epilogues are some of the best moments of the book. Yes, that's right - epilogues. Another thing to note is Isaac Stewart's wonderful interior artwork, which really puts across the alien nature of this new environment (you can find it here: http://www.isaacstewart.com/2011/09/05/stormlight-archive-artwork/) - and although illustration is unusual for novels, in this case it really worked. 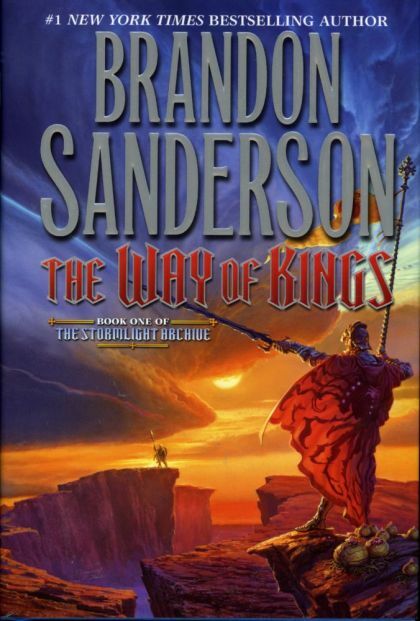 Would I recommend The Way of Kings? With reservations, yes. 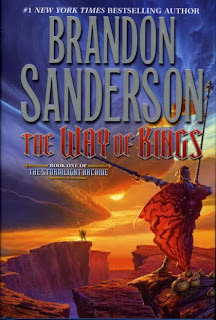 If you're unused to long series, or this would be your first Sanderson, I'd recommend testing your liking for his style on either the Mistborn trilogy or one of his standalone novels first. For fans of worldbuilding or those willing to throw themselves into a series, however, this is a must-read. Read this book, or plan to? Comment and tell me below! Yes, it's very fun - especially if you love finding out the secrets he's built into his worlds (as one of his characters - albeit in another series - said: "There's always another secret"). The characters are also rather refreshing, though more in the case of Shallan and Szeth than Dalinar and Kaladin. Not that the last two aren't good... They're just more traditional! I fell in love with Sanderson after reading Mistborn. WoK is definitely on my To Be Read list... along with the three million other books I want to finish this winter >_< There are just too many good books out there. Mistborn's a personal favourite - although I'll admit to liking both HoA and WoK MUCH more following rereads, where you stop to pick up the details - with Hoid and Sazed in particular... Too many good books? Heresy, I cry! Heresy! I am reading it right now. I took a risk and jumped right into it, considering this was my first Sanderson novel. I like it so far, but it is really, really, really, really, really, long. And it is really not that complex of a story, like a lot of long novels are. Not that complex yet, for sure - but knowing Sanderson (Hero of Ages, for one), it's likely to become a lot more intricate in the rest of the series: I think, anyway! I'd be interested to know your thoughts on the ending, which IMO improves drastically.